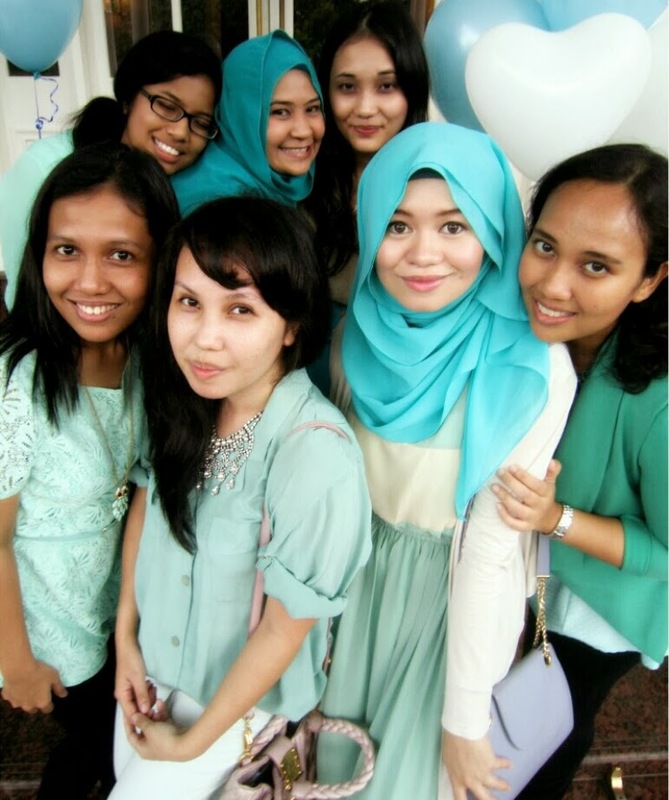 On 28th April 2013, the sorority girls got together again. 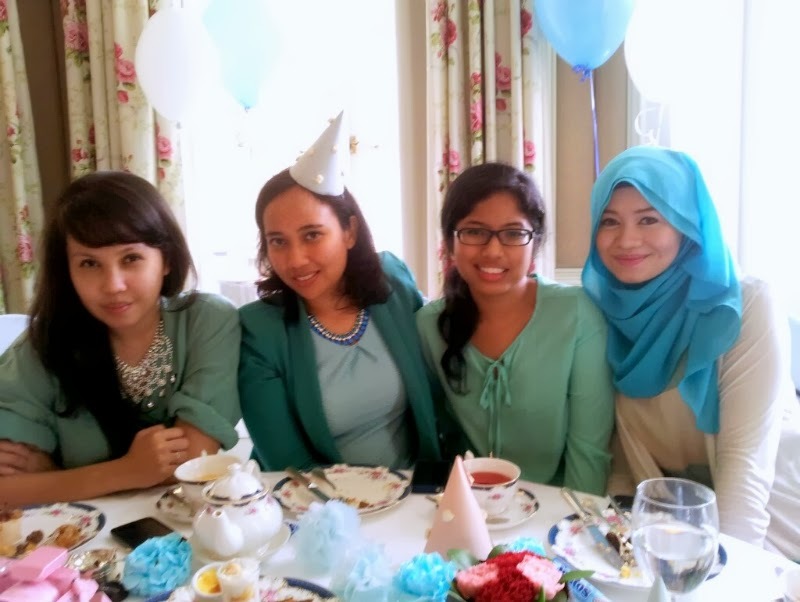 After Birthday Breakfast at Barberra : Fazlin & Norleen we met up for our dearest Khairun Nisa @ Niesa for Sunday tea at Carcossa Seri Negara. 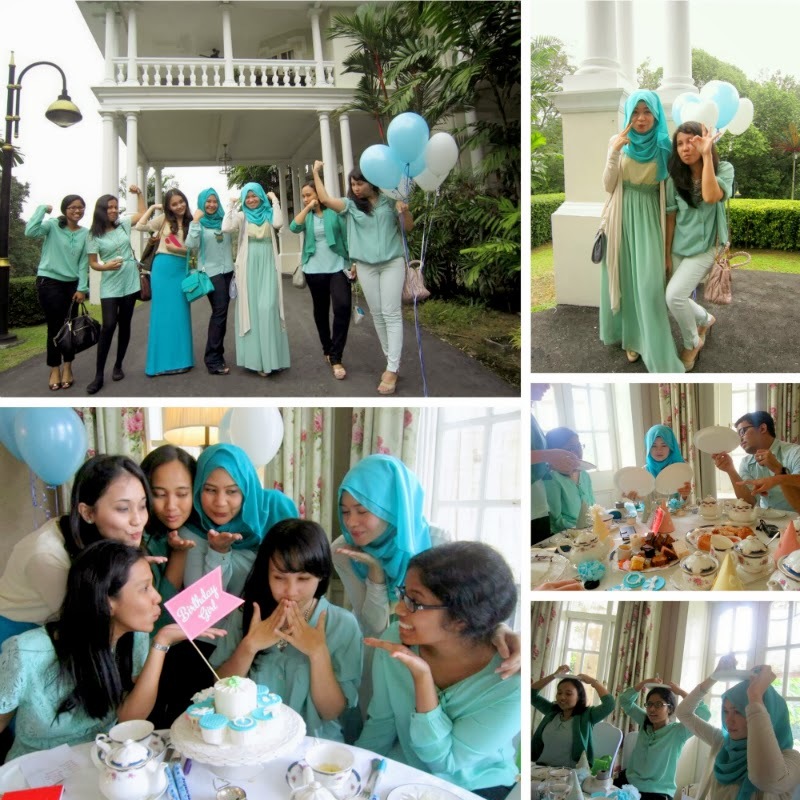 A get together with my unimates was brilliantly themed blue and green (can't remember who suggested it) turned out to be a sweet and colour-coordinated event which looked so soothing to the eyes in real life and in photos. And that's because everyone followed the theme. The food was awesome and the games we always play when we get together was really fun too. The girls who attended the do organised mainly by Fadzilla Ismail were Nuzul Iswani, Fazlin Azrimi, Amirah Ausi, Norleen Nordin and the photographer Abdullah Khubayb who also accompanied me as i was in the initial stages of going out. I've known Nisa for 11 years since my matriculation days reading law. Wow! 11 years. We were classmates in matriculation till our final year of university. We became closer during our first year of university since we lived in the same dorm, always went and returned from classes together almost everyday together with Fadzilla and even studied together. 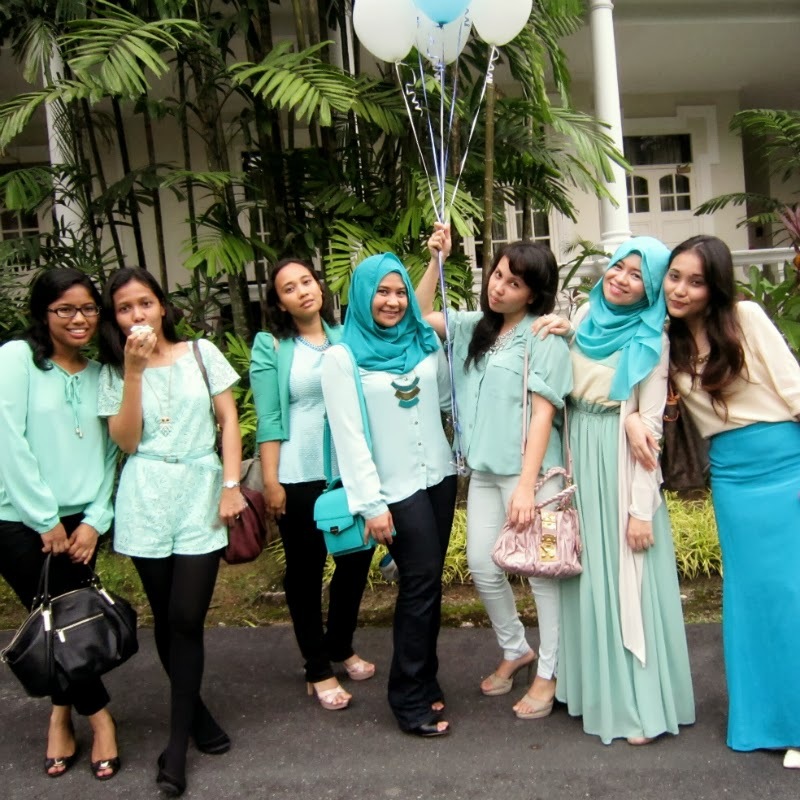 We basically were together almost every single day during weekdays with the rest of the girls especially during those four years in uni. One thing Nisa and I share most is our love for taking photos! Hahaha. All the years in my life, I don't think I have ever met someone who equally loved taking photos and capturing moments as much as I did. Until I met Niesa! Till this very day and age! 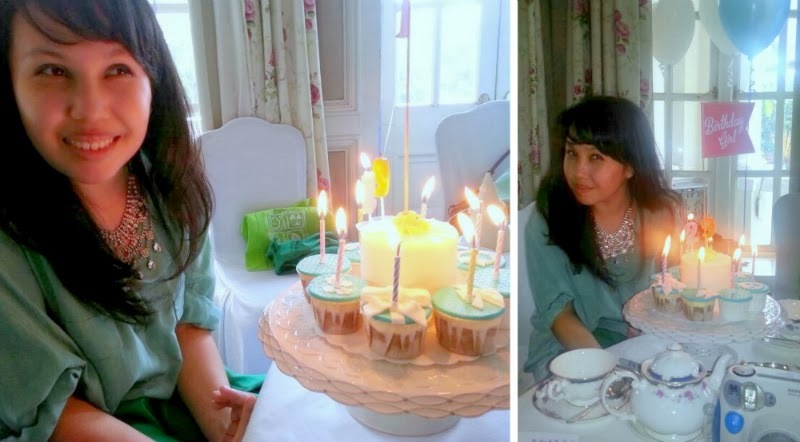 The last time I blogged about Niesa and her birthday was in The Cat-astrophic Sunday. 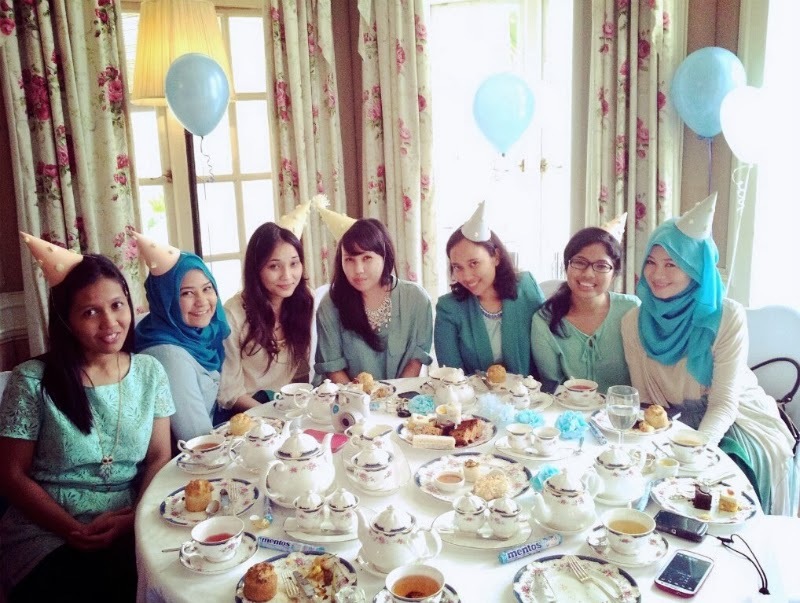 To Niesa, thank you for being one of the main organisers of all the birthday dos and for bringing us all together. It is not easy to bring everyone but you have done it again and again so many times, of course with the help and cooperation of the rest of the girls. Thank you for being the lively one who always come up with the ideas on games and themes for all the get-togethers. It is always fun to be with these girls. The main organiser for Niesa's event was Fadzilla this time around and she did a good job making Niesa all happy and content. Always be the kindhearted cheerful sweet soul that you are.